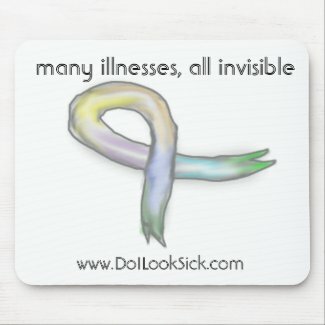 An Awareness Ribbon for You – Do I Look Sick? 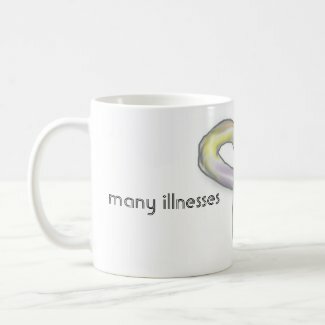 You voted and I got busy designing! 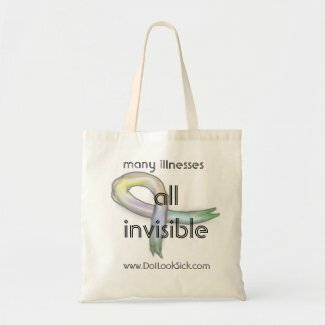 Here’s the new line of products featuring the “Many illnesses, all invisible” awareness ribbon! And that’s not all, I have some exciting news! Do I Look Sick will be running their first ever print ad soon! Samaze Magazine is a magazine about pop culture and geek culture in North Texas, and will be handed out at this year’s Dallas Comic Con! That’s a huge audience. And if you’re wondering what that has to do with anything, 1.) I am a huge geek. 2.) 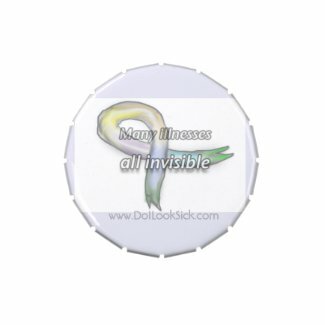 1 in 2 people have an invisible illness, so this is relevant to everyone. And 3.) 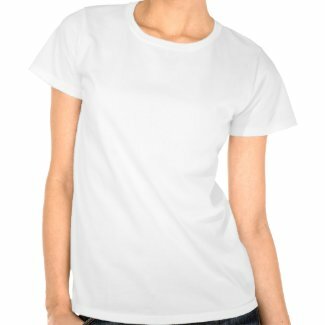 It means new t-shirts and stuff for my fellow geeky spoonies coming soon! Can I attach it to a comment? Or via email?